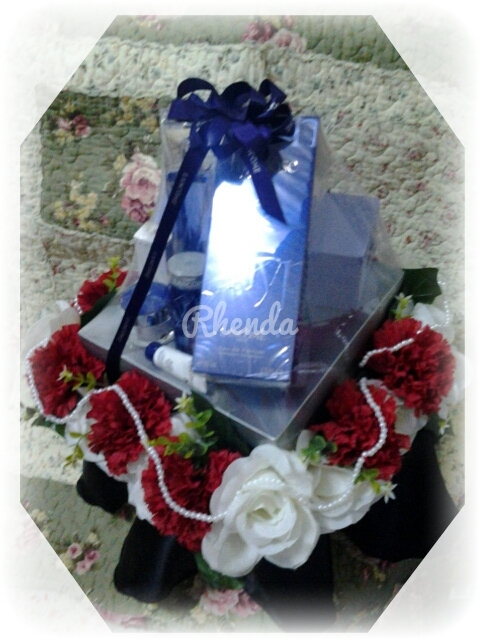 If you have seen the wedding gifts of Ain’s wedding, well I’m proudly announced that it is one of the Rhenda project. Here are the rest of the gifts. Look at the white orchids, aren’t they so lovely with the peach pearl beads? 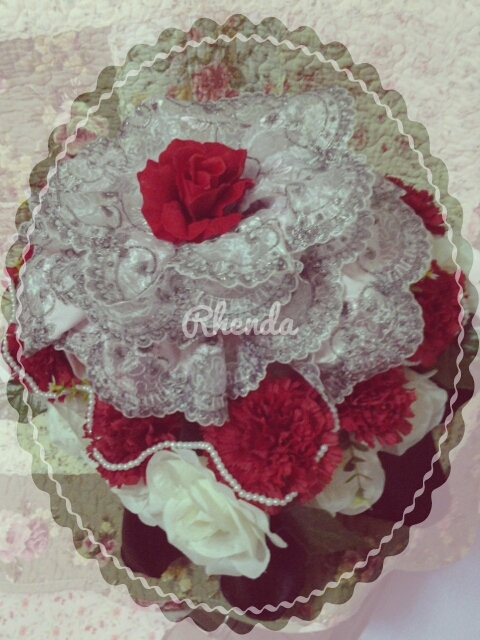 It’s used to be my wish, to use Orchids as my wedding flower. 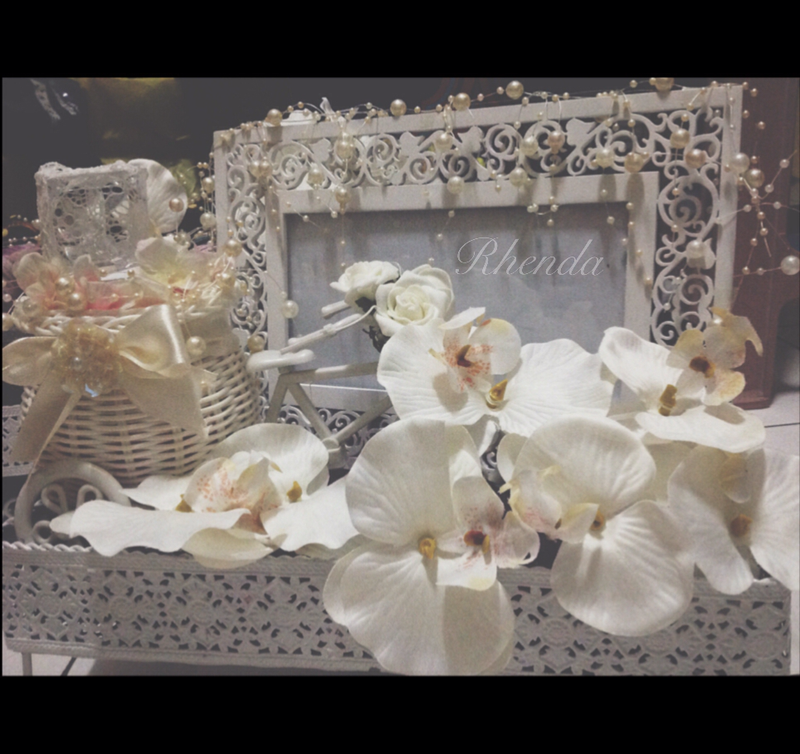 Now, I’m more than happy to decorate the Orchids for my best friend’s wedding. Hope on to Rhenda website to look for more design and services. Thank you! xoxo. Do you want to know what had keep me busy all this while? My side project – Rhenda project. 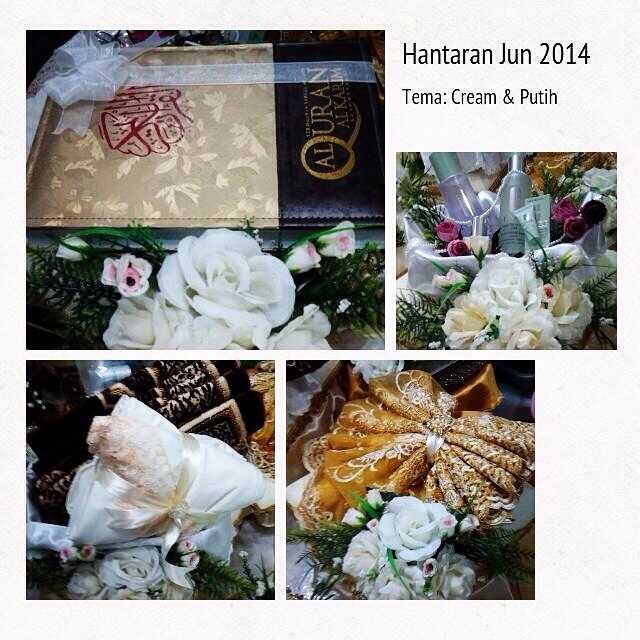 This is the ‘hantaran’ for the month of June. We’ve designed 14 ‘dulangs’ of them. The theme colour is a combination of cream and gold. 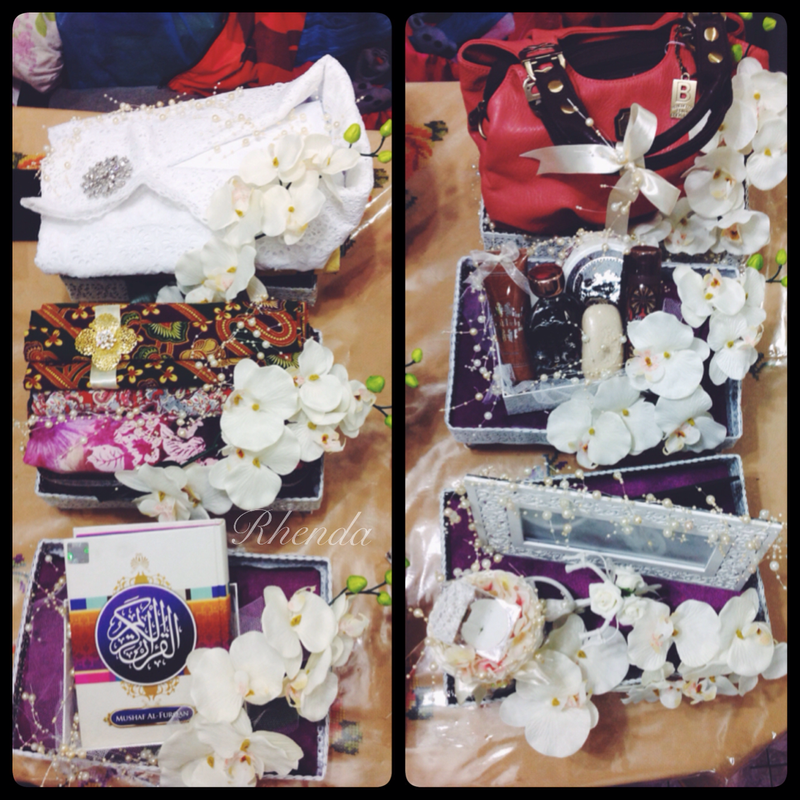 And this is just recently ordered by our lovely customer for this month (August). She requested for mint green and cream colour. The Cinderella carriage was also requested by her. 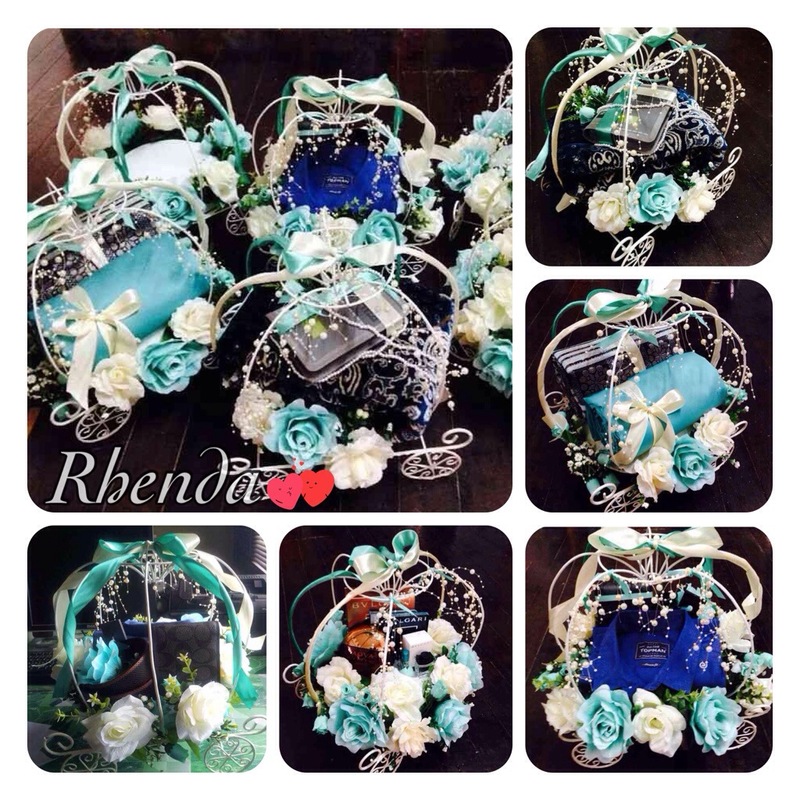 More pictures of Rhenda, please visit the website. I bet everyone is enjoying the weekend. Including me. 🙂 This weekend might be my last free weekend for this month. After that, it’s going to be busy week and no weekend. Let me share with you what I’d been doing last month. We have another wedding gift decoration. The Sirih Junjung. All fresh flowers. I chose Chrysanthemum red and white (as requested by the customer). I am glad to know that the customer was satisfied with our designs. 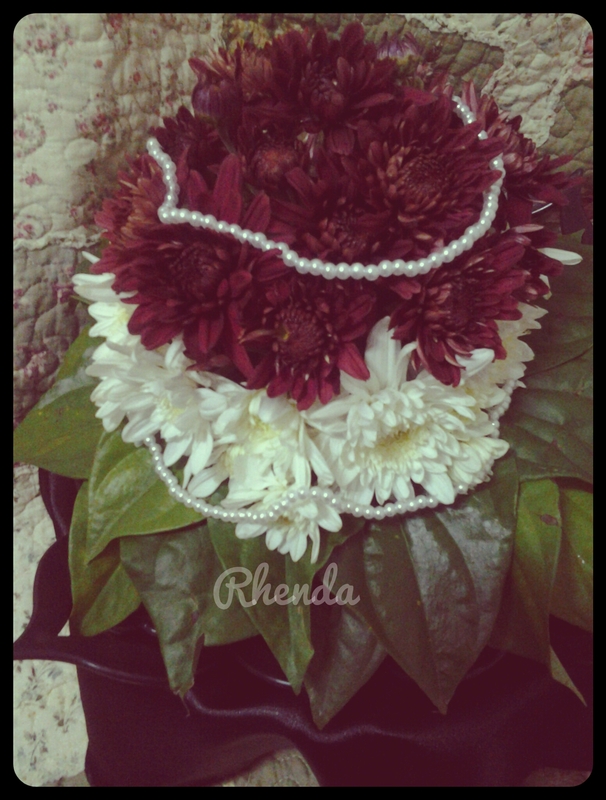 There’ll more wedding projects on May. Stay tuned! Oh, I just want to let you know that I have a special website for it. Hop over to Rhenda website. It’s still unorganised at the moment. Need more time to do it.